HONG KONG: 1997 Commemorative Proof Coin Collection, presentation...more HONG KONG: 1997 Commemorative Proof Coin Collection, presentation pack. 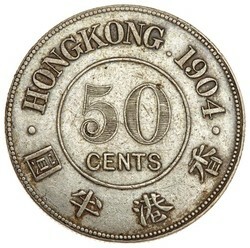 HONG KONG: 1891 & 1893 QV 50c Silver Coins (Ma C34), two examples,...more HONG KONG: 1891 & 1893 QV 50c Silver Coins (Ma C34), two examples, 1891 VF and 1893 AU (2). 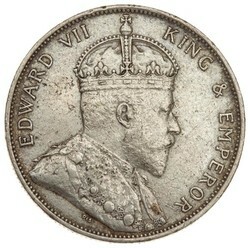 HONG KONG: 1901 QV $1 X#1b INA Retro Issue, PCGS PR65RD CAM. 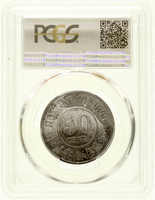 HONG KONG: 1901 QV $1 X#1b INA Retro Issue, PCGS PR65RD CAM. 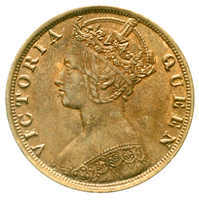 HONG KONG: 1866 QV One Cent Bronze (Ma C3 Type 1), EF-UNC. 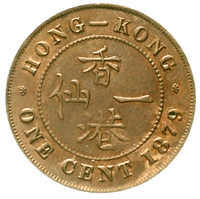 HONG KONG: 1866 QV One Cent Bronze (Ma C3 Type 1), EF-UNC. 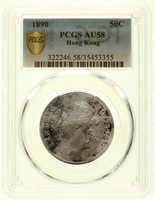 HONG KONG: 1901 QV $1 X#1a INA Retro Issue, PCGS PR66CAM. 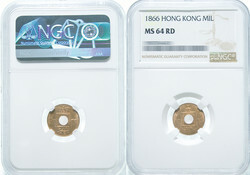 HONG KONG: 1901 QV $1 X#1a INA Retro Issue, PCGS PR66CAM. HONG KONG: 1988 Commemorative Proof Coin Collection, presentation...more HONG KONG: 1988 Commemorative Proof Coin Collection, presentation pack. HONG KONG: 1964H QEII 5c Nickel-Brass (Ma C16), extremely scarce key...more HONG KONG: 1964H QEII 5c Nickel-Brass (Ma C16), extremely scarce key coin in series, NGC VF Details. HONG KONG: 1980 QEII 10c Nickel-Brass (Ma C24), group of six, VF-AU...more HONG KONG: 1980 QEII 10c Nickel-Brass (Ma C24), group of six, VF-AU (6). HONG KONG: 1980 QEII 10c Nickel-Brass (Ma C24), two UNC examples (2). HONG KONG: 1980 QEII 10c Nickel-Brass (Ma C24), two UNC examples (2).